This just totally captures the moment. That’s Will Morgan (left and headbanded) and I working at Central Coffee Co. the other day. Love that coffee shop. And it’s baristas. 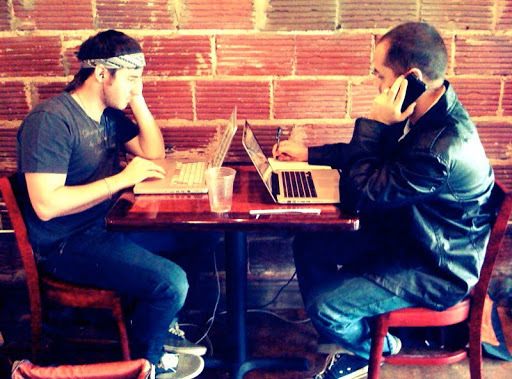 We have no office space, so coffee shops have become the offices of Center City Church!